YKP (Young, Keen and Penniless): ShutterLogic Issue 1 is here! 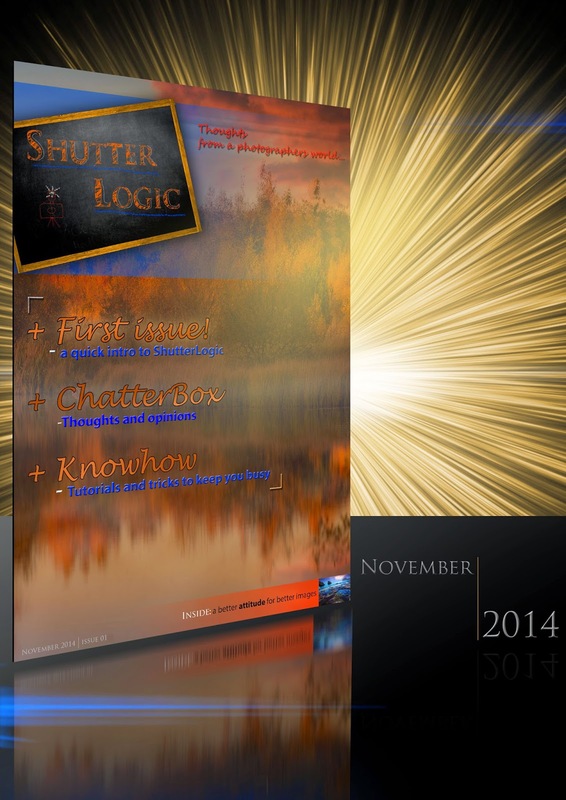 ShutterLogic Issue 1 is here! I'm very proud to present the first issue of Shutter\Logic, a brand new free online photography magazine of which I'm now editor! SL is a brand new, quarterly online publication with a focus on our attitudes towards the world of photography, both positive and negative, and how these influence the photos we take, how we take them and the gear we choose to create them. Featuring awesome photography from all the key genres, we hope ShutterLogic will inspire creativity, boost confidence and above all encourage you to reassess the way you think about the art of crafting light… "
I hope you like what you see. Don't forget to spread the word and help us build a community!